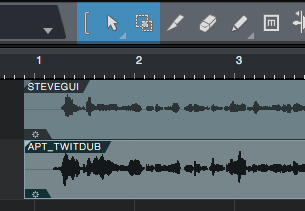 Once you are satisfied with the sound of the process, in Revoice Pro Edit menu, Copy - All Process Outputs (to transfer everything processed in Revoice) or Copy - Selected Process Output (to transfer only the process you have selected). Keyboard shortcuts are Cmd + Shift + L or Cmd + Shift + O respectively. 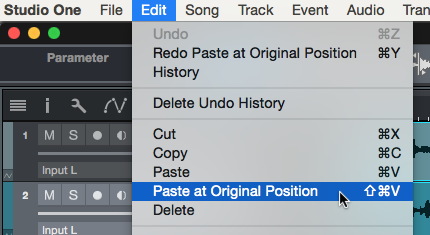 In Studio One, use Paste at Original Position in the Edit menu to put the processed audio back into the Dub tracks, starting at the original time.